Missed two days of work, don't feel much like writing, but am too attached to my weekly rhythm to put off this post. So I'll sip my tea and devote this week's post to the best medicine--humor. Thanks for your visit--I'm feeling better already! I enjoyed reading Rachel Held Evans on "Christians and Humor: Thoughts on Making It Work." We Quakers of the Tom Mullen fan club know that he certainly could make it work--he notoriously found humor even in his diabetes. Among my favorite Tom Mullen samples was his sermon at Indiana Yearly Meeting sessions, entitled "The Whole Gospel: A Partial View." Correct me if I've got it wrong, but, as I remember, he began by explaining that he'd asked several people for advice about what to say. Apparently Elton Trueblood advised, "Why not focus on silence?" In contrast, yearly meeting clerk Richard Newby urged, "Preach about sin--and name names!" Much Quaker humor is of the type classified by Evans as "directed toward your own community or culture." Humor directed against someone else can poison the room, but affectionate reminders of our own peculiarities and limitations can be wonderful ministry. 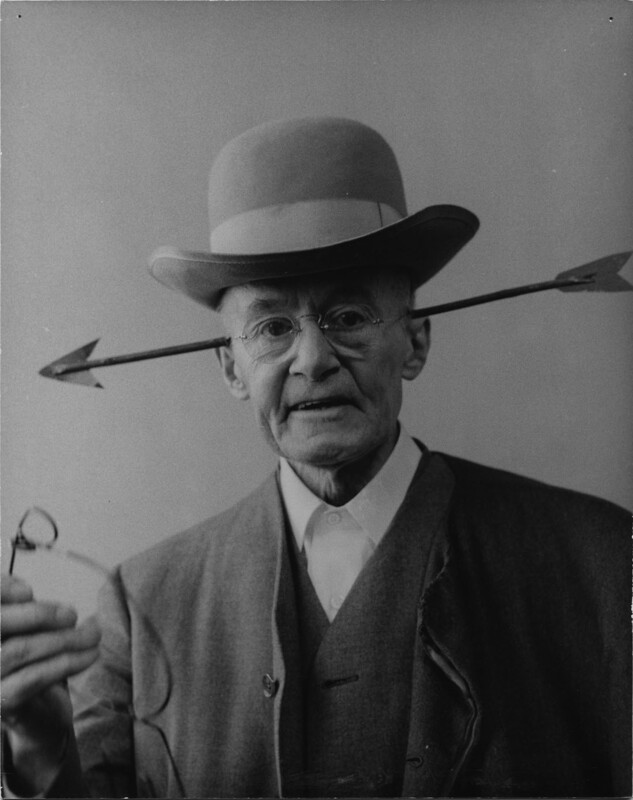 William Bacon Evans, the well-loved Philadelphia Yearly Meeting Friend of living memory for some of us (1875-1964), was reputedly a master at combining humor with gentle eldering. My Canadian Quaker godmother, Deborah Haight, told me about her childhood memories of his visits as a traveling minister, who always took time to visit the children of the yearly meeting. He entertained them with little bent-wire puzzles while talking to them about God's love. If I had to pick just one William Bacon Evans story, I'd choose the one about the hen who wandered into the open door of a rural Friends meeting. Evans greeted the hen, "What does thee have to lay before the meeting?" In the hardball world of Russian politics, humor can be considerably more vicious...though not always. The connection to Christian faith is not obvious, although if the humor has a grain of truth, then it has at least a grain of connection! I report a sample or two, not to aim humor at "the other," but simply to report how people here can use humor to cope with political stress. The politicians' charges that opposition demonstrators were paid by the U.S. State Department led to countless picket signs along the lines of "Hillary, where's my money?" The campaign to ban American adoptions of Russian children was widely lampooned (samples here). And some Russians use humor to associate the ruling party with corruption, changing its name from "Edinaya Rossiya" (United Russia) to "Edim Rossiyu" ("We Eat Russia") and replacing the proud bear on party banners with a rat. That last example reminded me of the great Chicago newspaper columnist Mike Royko. In a 1967 column for the Daily News, he suggested that the city's image needed updating. Why not a new city seal? He suggested a design competition, and provided his own example to show what he meant. The clasped hands represent the true spirit of Chicago friendship--especially when the concrete is being poured. Under the clasped hands, you see the happy city worker clearing the way for still another new improvement. And the exploding car in the right-hand corner represents the festive spirit of Chicago. Once we have a new city seal, we will need a new city motto. That I have provided. The old one is Urbs in Horto (City in a Garden). The invention of the concrete mixer has made the old motto meaningless. The new motto--Ubi Est Mea--means "Where's Mine?" Royko was very specific about how large the sketches of proposed new city seals should be: "Make them about the size of an alderman's wallet--about eight inches across or bigger." So, we Chicagoans don't grant pride of place to Russians or anyone else for election fraud or corruption, or for their humorous depiction: we're pioneers! How total is the Kremlin's control of Russian mass media? Pretty close, says one article. It's not that simple, says another. Doug Bennett, "Gazing at the Bomber with Fear and Fascination." "Quaker values among Rwandan Friends." Mike Royko fans: look at the Google scan linked to that little "source" caption and scroll down to page 31 to his still-timely take on the gun control controversy. Guitar Slim Sweet Willie II from Halim Ina on Vimeo. WBE was a dear f/Friend! I have seen him in that arrow-hat more than once. I also remember Lewis Benson's friend Edmund Goerke drive up his father's red MG to Reading Terminal in Philly, and open the door to let out Wm Bacon Evans and Charles Henry Moon (a more portly plain Friend). . . .
oops! my name dropped out of that last. Thanks for the link to the Don Miller article, Johan. Very interesting to me as someone who just spent nine years on the FUM board. Thanks for your comment, Carol. I hadn't made the link with my own FUM experience. Vail--I appreciated your comment, too. Edmund Goerke's story reminds me that I've heard several other stories about William Bacon Evans's driving, some of them from Tom Bodine. And one story about his not-driving: apparently one time Bacon Evans was shopping at a store in Moorestown, New Jersey. He fed the parking meter and went into the store. When he finished, he got into his car ... and just sat there. The concerned storekeeper checked to see that his customer was OK. Yes, he was fine, said Evans--he was just using the time still left on the parking meter.